My Journey To Freedom is about finding positive ways of coping and managing my life to live peacefully by learning skills that Empower Ourselves. Hello, my name is Darlene Robbins and I would like to personally invite you to “Mastering Today” I live in Fort Walton Beach Florida and I am on what I call a “Journey To Freedom”. 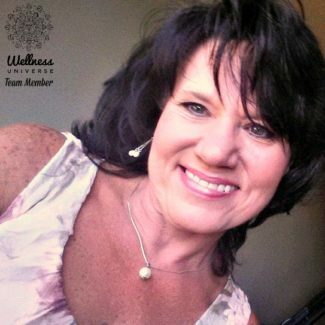 My journey began in 2009 when I began to study The Universal Spiritual Laws, The Law of Attraction and more, which has enlightened my life so much by recognizing the mind/body connection. In 1997, I had an ectopic pregnancy, which required emergency surgery to have one ovary and fallopian tube removed. This was my first time having pain pills and so my addiction began. I have always had the problem of not being able to tell others how I feel and as my emotional turmoil escalated, I did not know how to ask for help. My addiction led to prescription fraud and theft, which has left me with a felony conviction. At 49 years old I said to myself, I have got to start taking care of myself and putting my needs first, and thus began My Journey. Through the teachings, I have learned to live in the moment and avoid trying to control people, things or situations that are out of my control. My goal is to reach others and help them realize this. When you begin to realize how your mind has so much control over your emotions and reactions it truly is the most liberating feeling being able to manage it! So please join me and let me show you how to Empower Yourself.